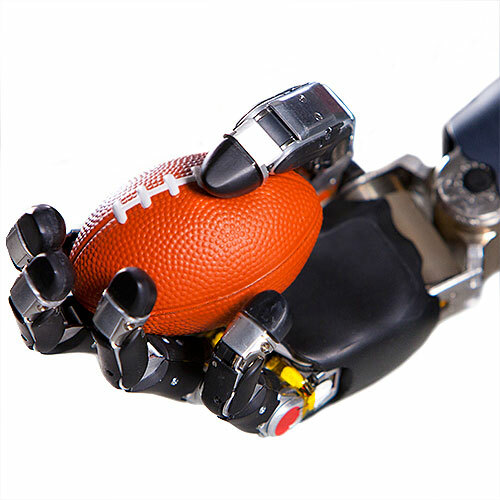 The Hand Arm System is designed to have the size, strength, and speed of a human arm. 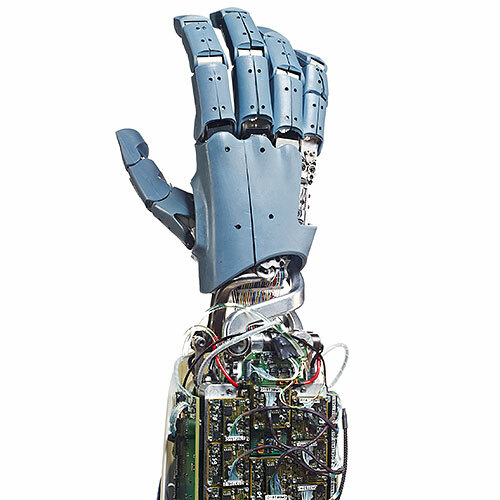 It uses superstrong cables as tendons, and its aluminum endoskeleton makes it look like the Terminator's hand. 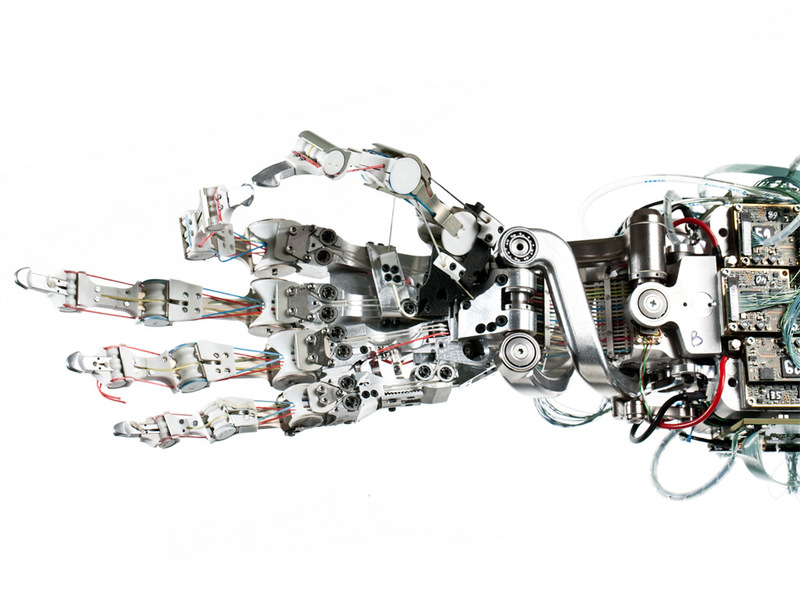 The arm's actuators and electronics. 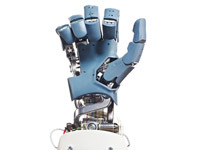 The hand can perform precise pinching motions. 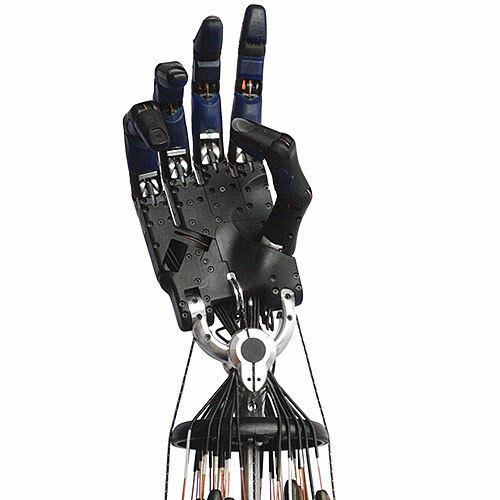 The hand is powered by cables that act as tendons. 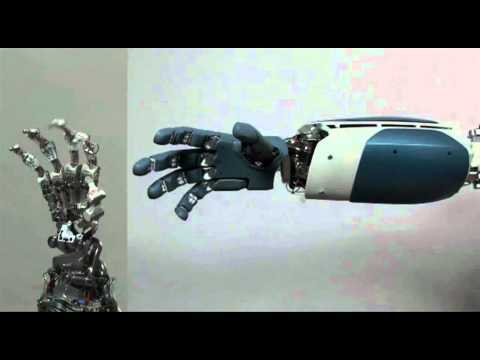 The hand can grasp a variety of human tools. The fingers conform to the shape of the object. Hand Arm System gets smacked with a baseball bat. 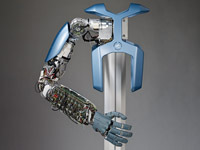 Researchers hit their robot with a hammer. 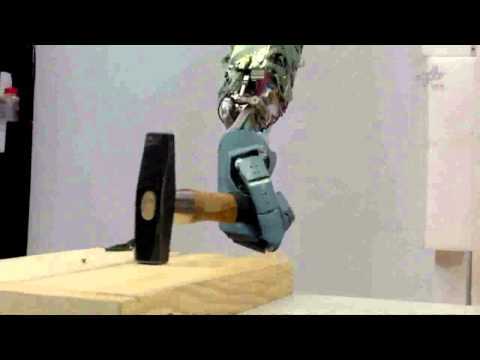 Researchers teach their robot how to use a hammer. 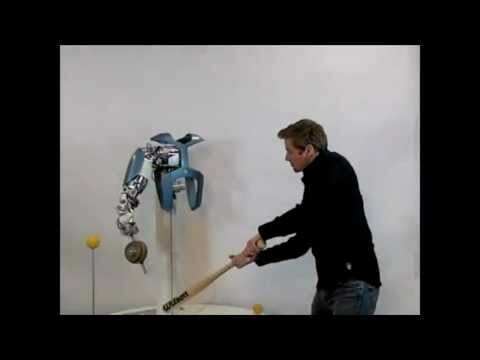 To assess the robustness of their robot arm, the researchers did what you'd expect from any self-respecting roboticist: They smashed the robot with a baseball bat. 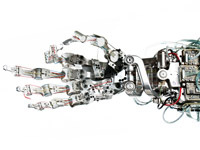 The fingers of the robot can move at speeds of 3,500 degrees per second. Anthropomorphic design. Able to withstand shocks and impacts. Equipped with actuators with variable stiffness and fast dynamic response. 112 position sensors. 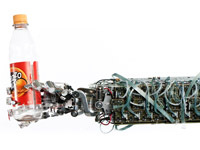 Force sensing performed by the actuators. Intel-based computing nodes and programmable logic devices (FPGA/CPLD). Computing nodes connected by high-speed SpaceWire packet communication network. QNX real-time OS with hardware abstraction layer and Matlab Simulink interface for control applications. 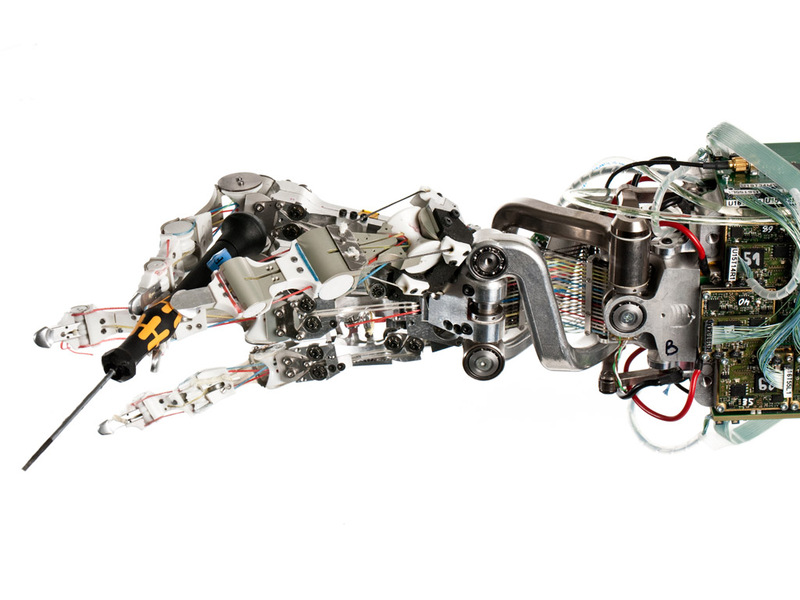 Aluminum based endoskeleton. 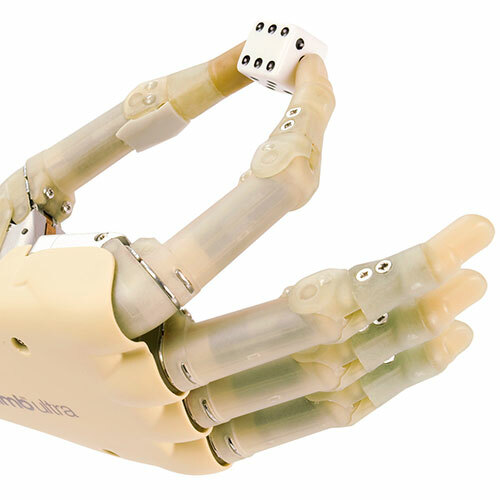 Low friction plastics for finger joint bodies. 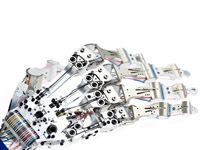 Hard plastic arm housings. 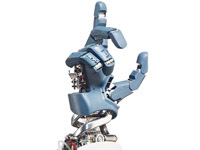 The Hand Arm System is the culmination of decades of research in robot manipulation by researchers at the DLR Robotics and Mechatronics Center. 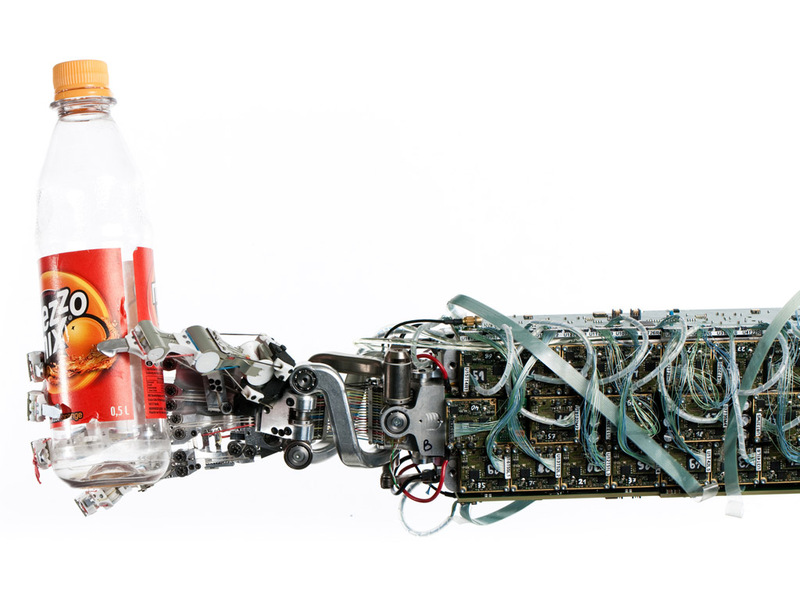 The main motivation for the project is the fact that when robots perform tasks in the real world, they inevitably collide with objects, the environment, and even people. 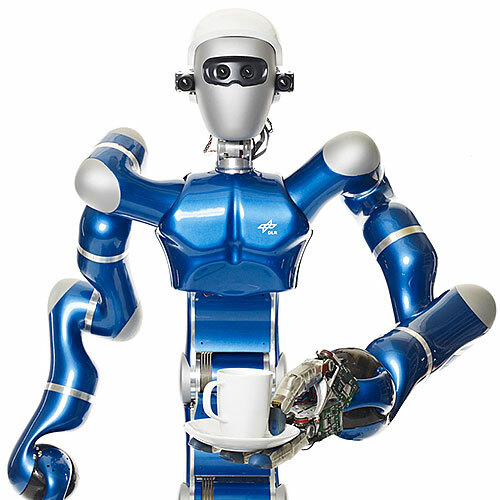 For that reason, the DLR researchers believe that future robots have to be able to handle collisions without suffering or causing damage. 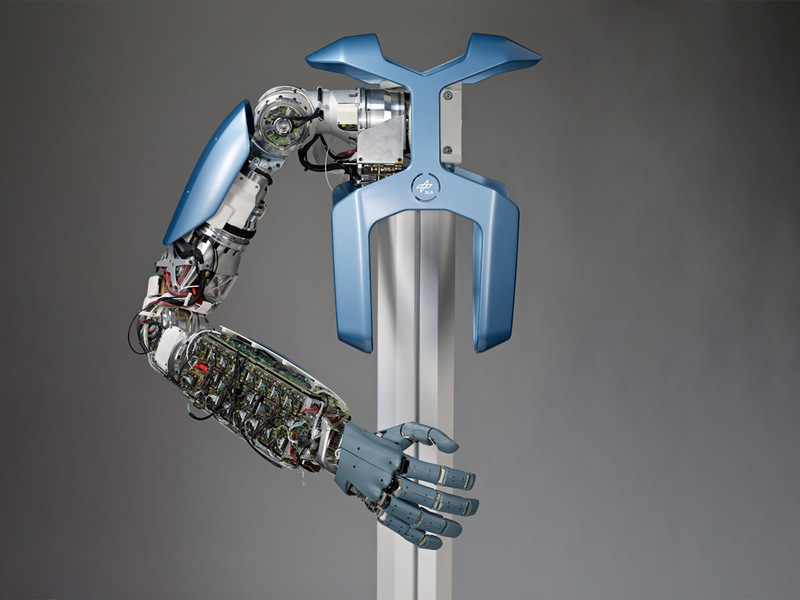 The DLR Hand Arm System uses elastic components capable of storing energy and actuators capable of changing their stiffness to achieve the robustness needed against collisions. 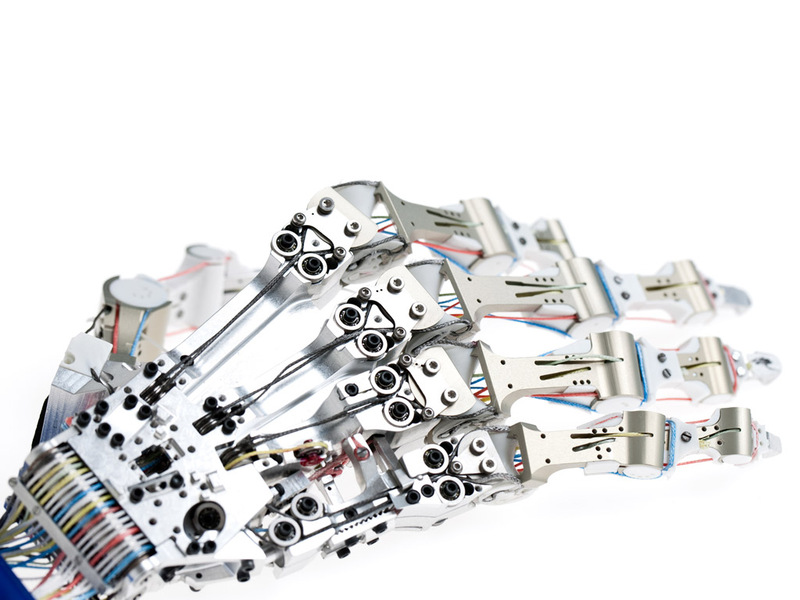 The Hand Arm System is currently used as a platform for advancing dexterous manipulation and for exploring new applications in robotics.